2014 statistics processed by CEPI (Confederation of European Paper Industries), indicate that in Europe almost 7 million tonnes of cardboard are consumed (www.cepicartonboard.com/?section= some_market_statistics). 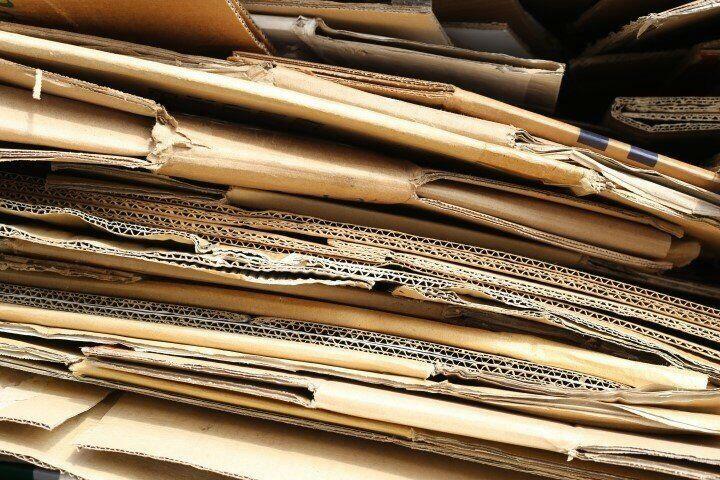 This material, used mostly in the packaging sector, can be reused many times (usually up to 6) and 54% of it is comprised of recycled material (www.cepicartonboard.com/?section=cartonboard_production). During this past August a two-shaft shredder was delivered in Belgium. It is a hydraulic model K 13/50, equipped with special hopper and hydraulic presser, which will be used as a primary element of a shredding and compacting line of cardboard packaging, designed to process 1,5 t/h. The K 50 HP series hydraulic shredders, used for the volumetric reduction of materials, allow the processing of up to 3 t/h of waste and industrial products such as cardboard packaging, plastic and metal drums, cubitainers, plastic, electronic waste, pallets and food scraps, as well as SUW, ELT and RDF. With a shredding chamber measuring 1,250 mm in length and a set of 50 mm blades with 1 beak, the K 13/50 shredder is then completed with additional special items, designed by the SatrindTech Technical Office upon the customer’s request: a hopper able to accommodate up to 5 m3of material and an arched hydraulic presser, whose function is to facilitate the gripping action of the blades on the material during processing. The hopper is equipped with an opening on the rear side with a swinging door to allow the entry of the presser in the hopper when required by the operator. The project, within which the SatrindTech shredder is the first element of the line, provides that the material is loaded into the hopper using a forklift. Once processed, the shredded material falls onto a conveyor which distributes it to the compaction lines positioned in a parallel way along the processing line. The shredder, the presser, the loading and unloading transport belts, are handled by a single electrical panel, on which there is also a digital powerbank hydraulic control panel. Having to treat potentially inflammable material, in addition to the requirements of the EC norms, the shredder was supplied with a cable system in accordance with requirements of Belgian legislation in this area, which is in accordance with standard NBN C30-004 F2. Our SatrindTech sales service is also available to provide any type of technical information and to propose solutions for the shredding of materials. For any of your requests, please contact us at +39 02 9037 6683 or write to us by sending an email to sales@satrindtech.com.